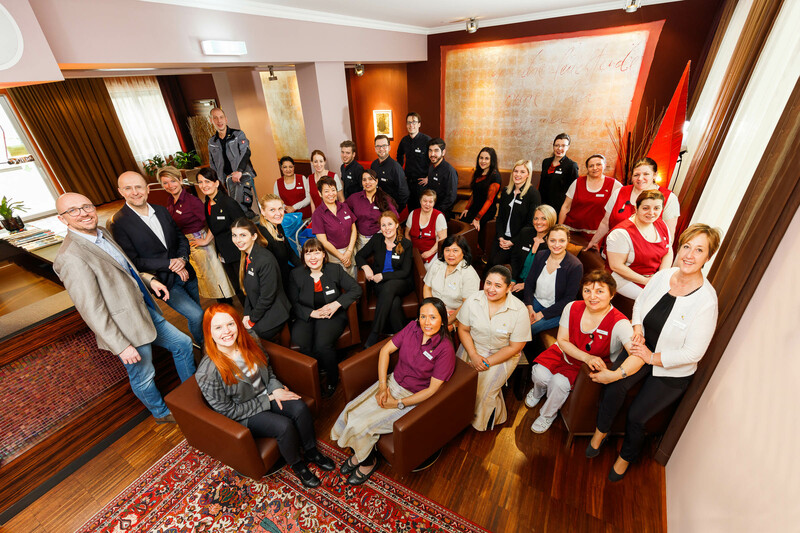 Your overall experience in a hotel chiefly depends on the people you are dealing with – our staff. 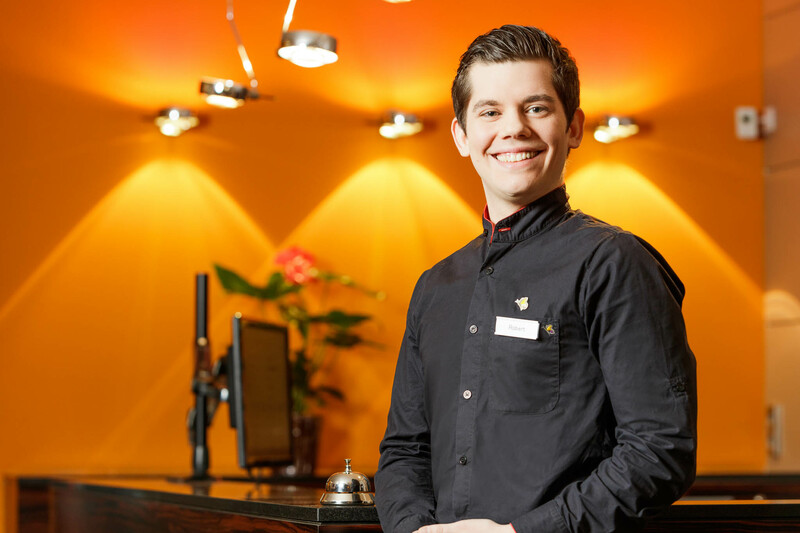 As we are aware that hospitality comes from the heart only, we encourage our staff to be just themselves. To give you an idea of our team, we would like to introduce you to our staff members. Damir works since Mai 2014 at our reception. 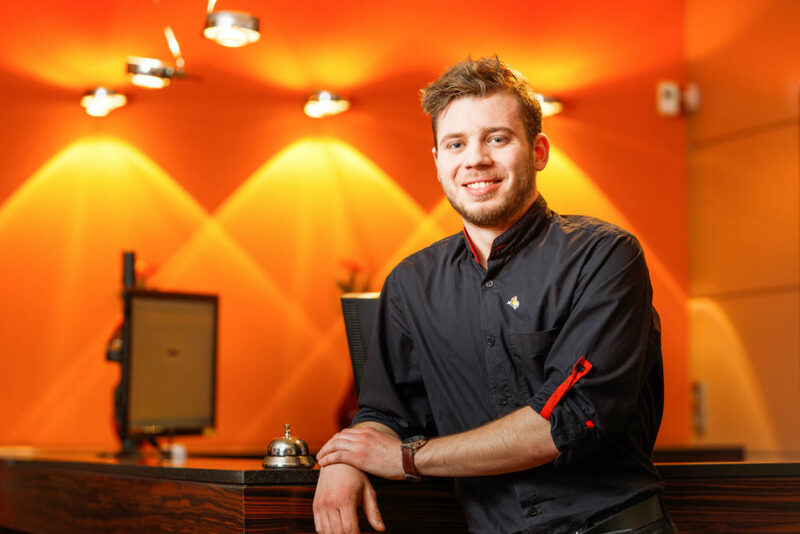 He comes from Bosnia and is married.He also studies at the University of Vienna and works as an referee at a soccer club in Vienna in his spare time. His favourite room is the Premium double room 611 because this room is situated on a high floor and has a fabulous view to the Vienna ferry wheel. 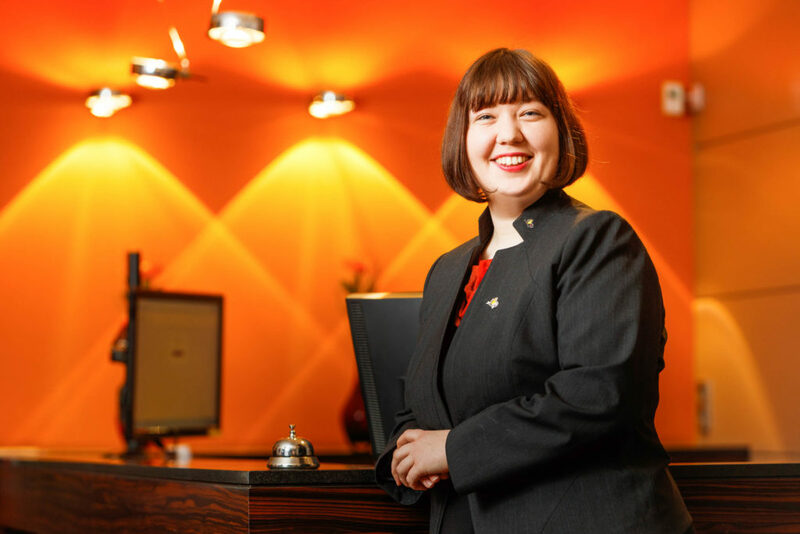 Erika is member of our reception team since January 2014. Originally from Slovakia, she still loves to spend her vacations there in order to meet her family. Her favourite room is the Superior Artelier Room “Frischer Quell” as she likes the lilac colour theme so much. 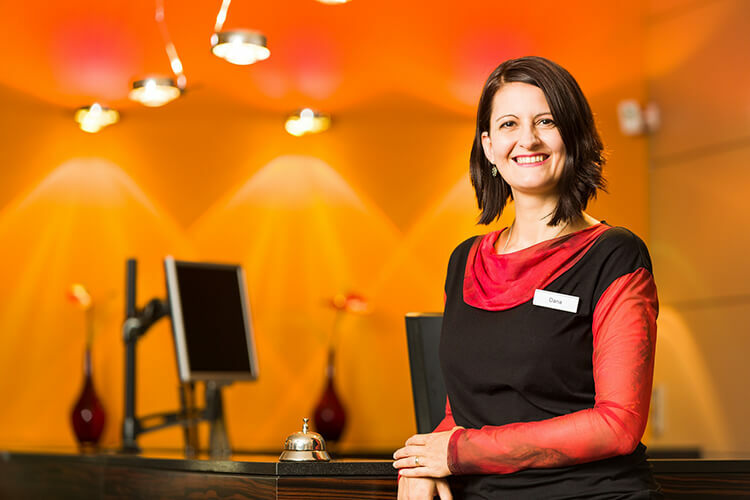 Dana is part of our reception team since 2008. Apart from her mother tongue, the native Slovak speaks German, English and Russian. In 2011, she finished her Slavonic studies. She loves to spend her leisure time with her husband and little son. As she enjoys its silent and cosy atmosphere, her favourite room is the Superior ARTelier room “Flirren über der Wiese”. Volodimir works at our reception since September 2017. He is from the Ukraine and loves to speak with our russian guests in his mother tounge. He studies languages in Vienna and likes to play soccer in his free time. His favourite room in our hotel is the Junior Suite “Deep Purple” because he likes to listen to the band with the same name as well. 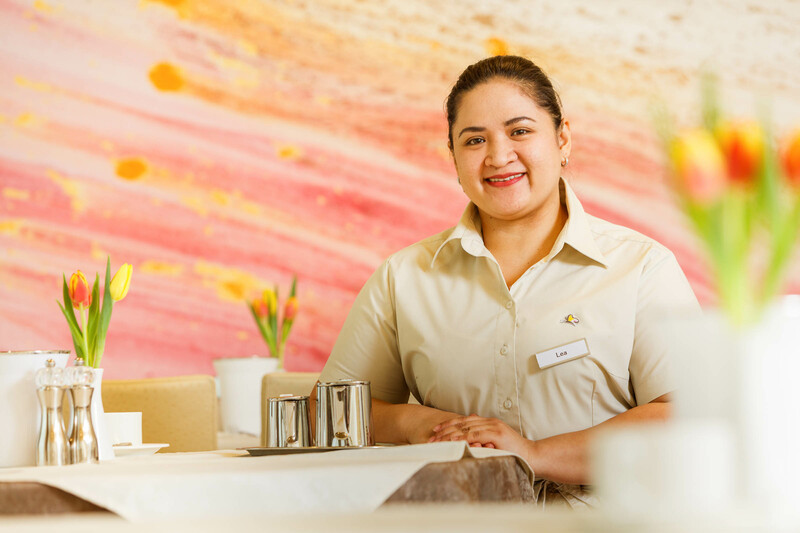 Paulina has been working in the bar since may 2016 and is also an active support for our reception. She comes from Poland, where she studied sports. Now she has been living in Vienna since 2014. Paulina is the happiest person when the hotel bar is busy. A healthy style of life is important for her, especially as she enjoys sports in her spare time or she goes dancing. Her favorite room is our Junior Suite Deep Purple. The view from the balcony of this room is particularly beautiful and the purple-red color combination very appealing for her. 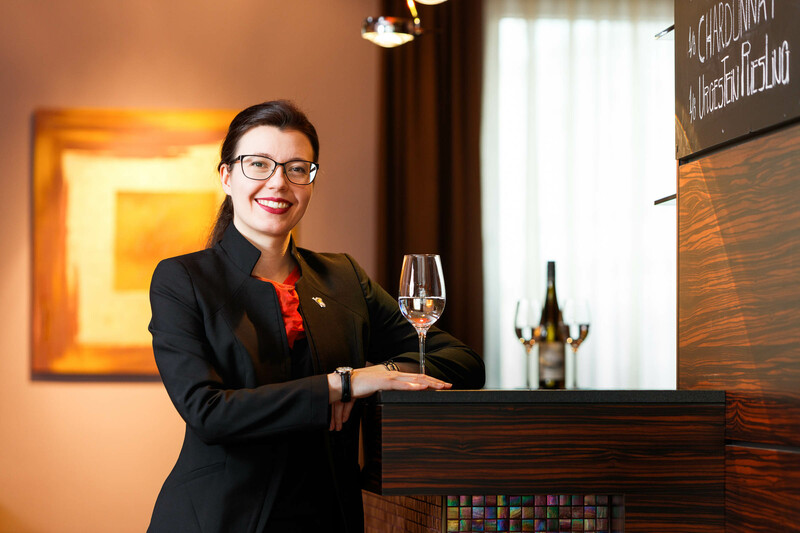 Andrea works at our hotelbar since December 2017. She studies architecture in Vienna. In her free time she likes drawing and listening to music. She also likes to travel and explore cities. She also takes long walkes through the heart of Vienna. Her favourite room is 503, because she really likes the painting from Andreas Reimann of the Vienna Ferri Wheel. 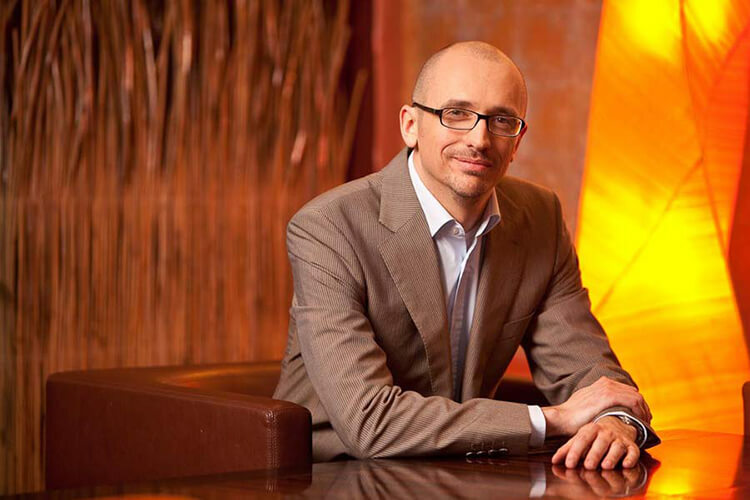 Our General Manager is with us since 2005. 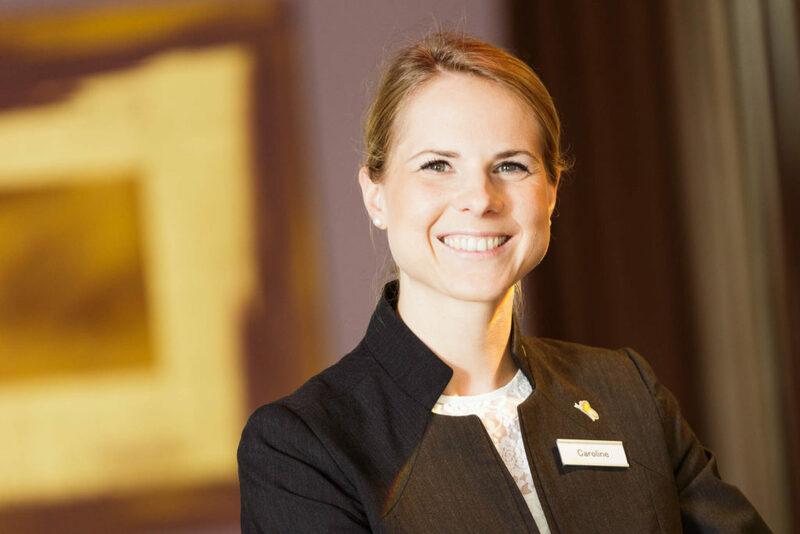 The native Lower Austrian started in our reception team, became Front Office Manager in 2010 to finally become the Wilhelmshof’s General Manager in January 2013. She has enormous communication and social skills, loves extensive journeys and enjoys going to music festivals. Her favourite colour matches her favourite room: it is the Suite ART Room “Deep Purple”. 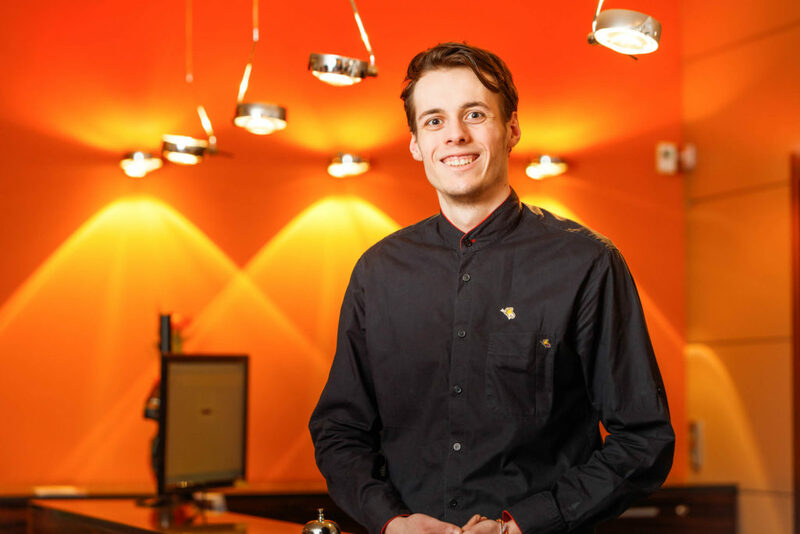 robert works since April 2016 at our reception as night receptionist. 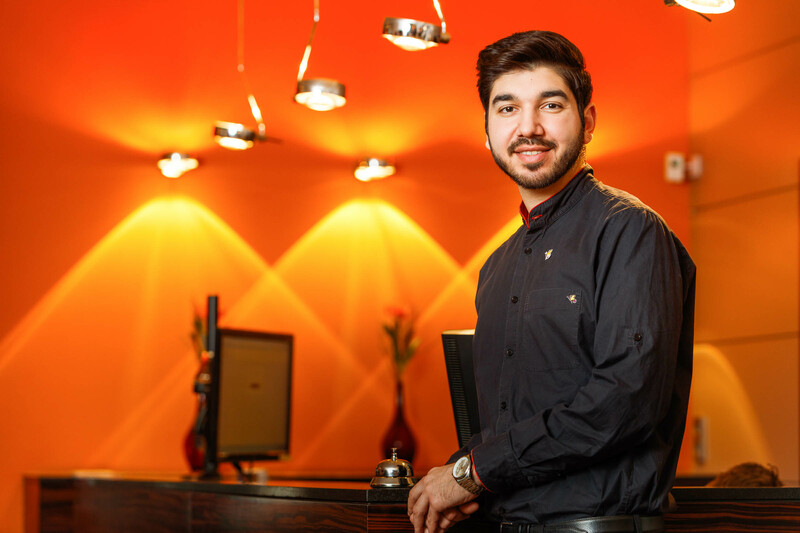 He was born in Vienna and likes to help our guests with special insider tips about his hometown.He also studies architecture in Vienna and plays in a band in his free time. 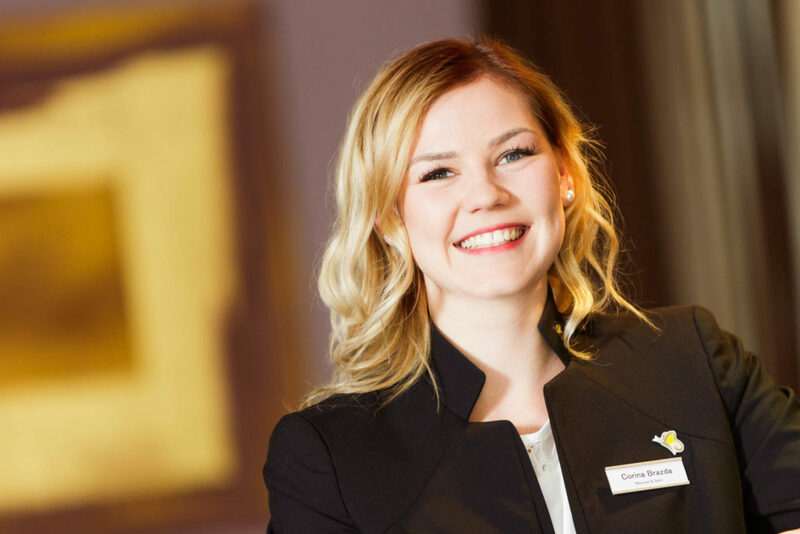 Alexandra is since April 2016 in our reception team. She also studies tourism in Vienna. Since July 2018 she is our Front Office Manager. She is from Vienna and knows everything about the best places to go in her hometown. In her freetime she loves to travel. She also visits Macedonia once a year because it is the hometown of her father. Her favourite room in our house is the Junior Suite “Silver moon”. She loves the bright and decent colours which reminds her about her peace of mind. 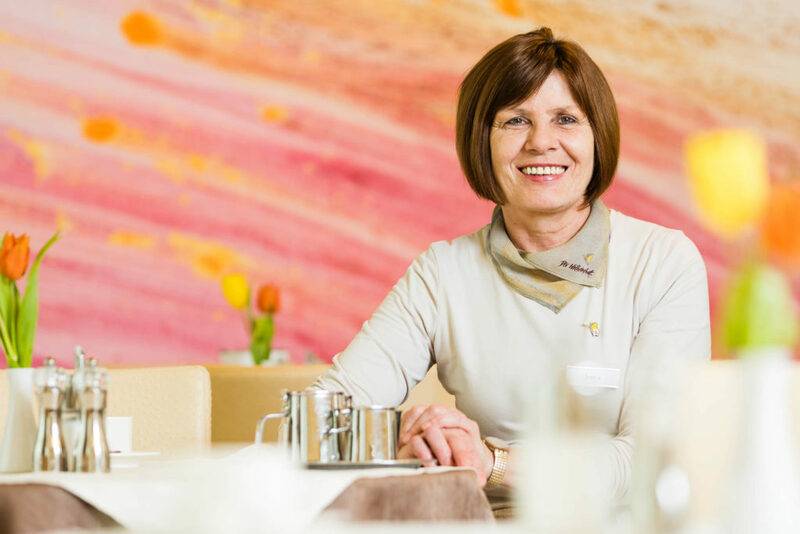 Anna has been part of the WienerART Hotel Wilhemshof since July 2012. In January 2015, she became our Front Office Manager. She studied cultural- and social anthropology and her cocktails are famous. Being a native Hungarian, she not only speaks German and English perfectly, but also Portuguese. Her favourite is the Deluxe ARTelier Room “Fantasie – des Menschen Frühling” because of the beautiful colour theme. At the moment Anna is in maternity leave. 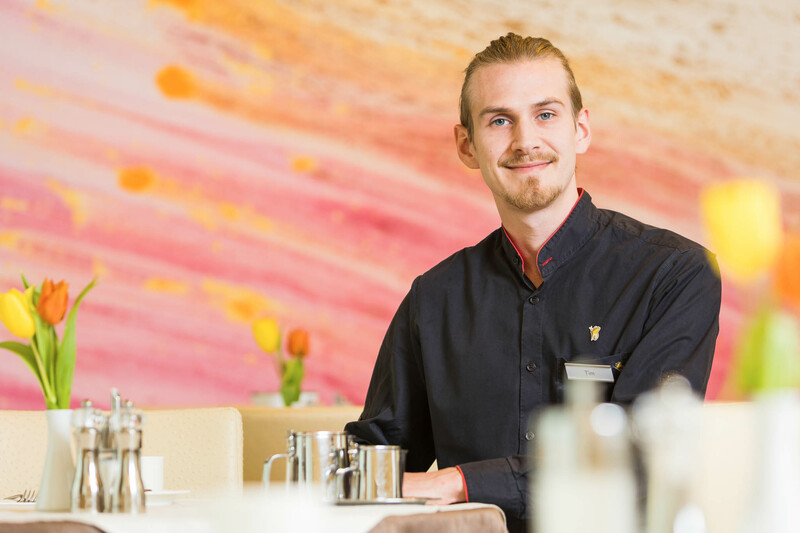 Forian is from south Tyrol and since March 2108 he works the nightshift at our reception. Florian studies economics in Vienna. He practise Kung Fu in his free time and likes to travel. He likes our Junior Suite “Deep Purple” most because of the size and also because he likes the famous band with the same name. 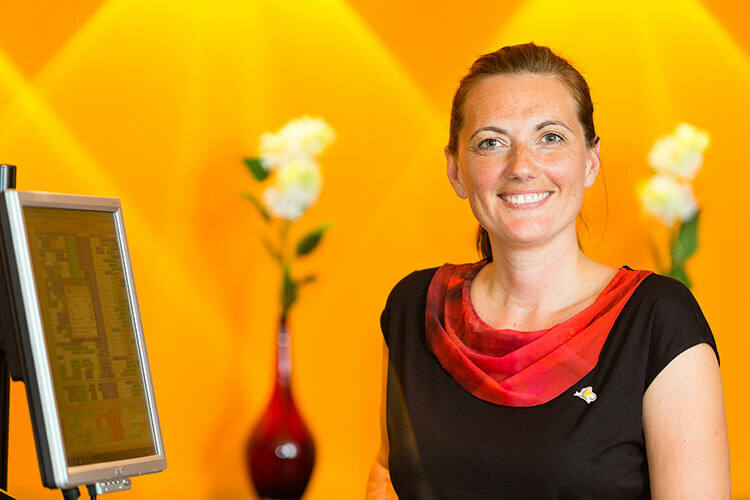 Karoline supports our reception team since August 2013. In her leisure time, you may meet her inline skating on the Donau Island. As she has a little son, she knows the best places for kids in Vienna. Her favourite room is our “Deep Purple” Junior Suite, because there you can rest in the bath tub and watch the skies. 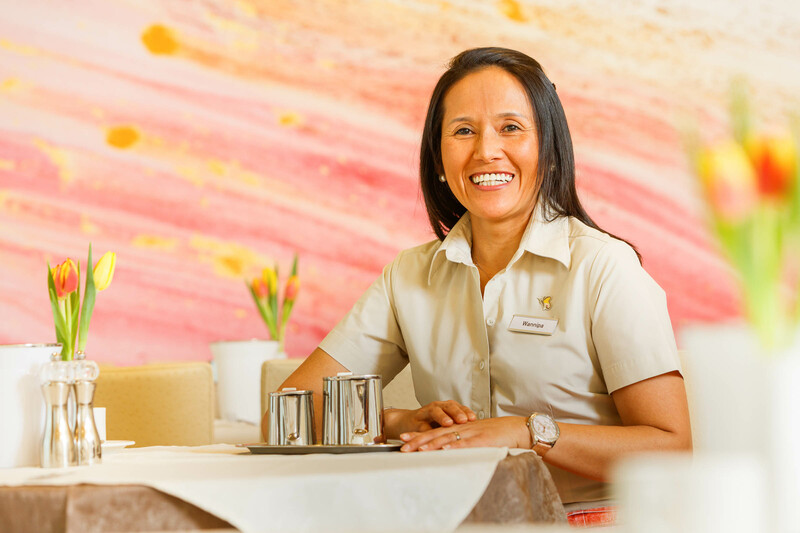 Cathleen started as a member of our reception team in November 2002. Meanwhile, she is our Office Manager. For many years, our cheerful and responsible Cathleen has been our administration’s anchor. The native German is mother of two kids. Her favourite room is the Superior ARTelier Room “Im Himmel” as she enjoys its merry and vivid colours. Ivan works at our reception at the night since March 2018. His parents are from Serbia, but he was born in Salzburg. Because he comes from the hometown of the famous “Wolfgang Amadeus Mozart” he is very interested in culture, also plays the piano and likes to go dancing in his free time. His most favourite room in our hotel is the Junior Suite “Silver Moon”. For him this room has a very calm atmosphere and he likes the smooth colours. Krzysztof, our in-house technician, is part of our team since March 2014. He is happily married and loves to spend his spare time playing soccer and table tennis. Originally from Poland, he visits his home land on holidays. He likes our Premium Andreas Reimann Room 215 best, due to the impressive red painting with Nina Proll. 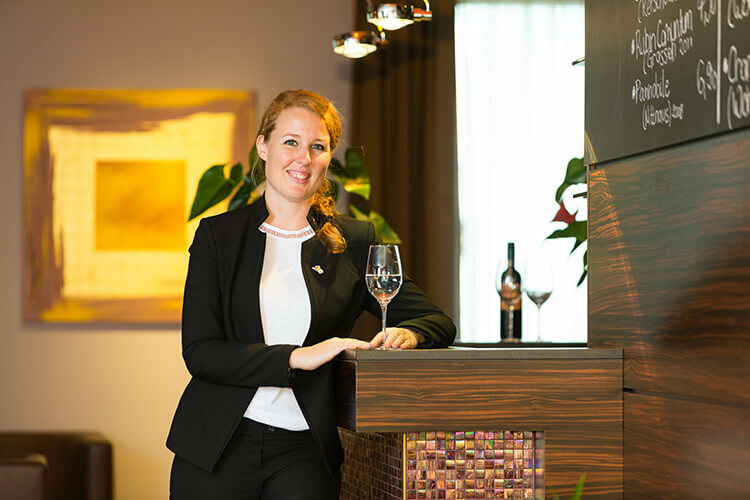 Corina, the sporty, native Viennese is member of our reception team since August 2014. This year, she obtained her bachelor’s degree in Tourism Management and supports or Management Team since July 2016. She loves dancing and finds her balance in other sport disciplines. Her favourite room is the Superior Wiener ART Room 222, dedicated to the Austrian musician Falco. 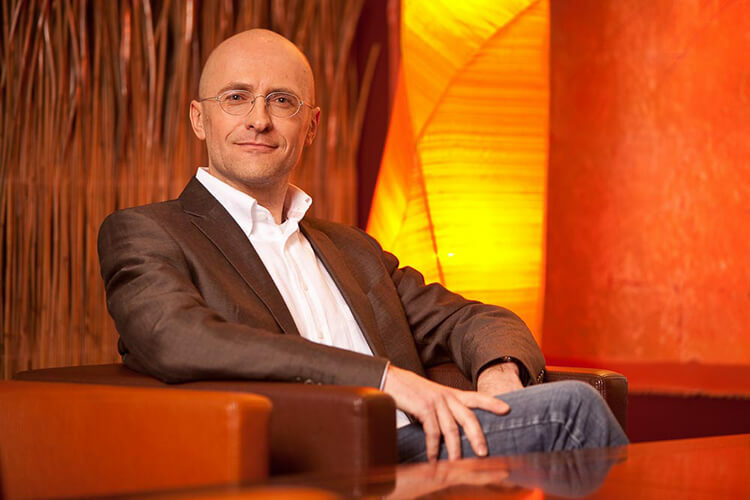 Together with Roman, Christian runs the hotel since 1997. As he is tax consultant and trustee, he is responsible for administration. The proud father of a daughter loves sailing. He always returns from his journeys full of new ideas for the Wilhelmshof. His favourite room is the “SilverMoon” Junior Suite due to its airy freshness full of sunlight. 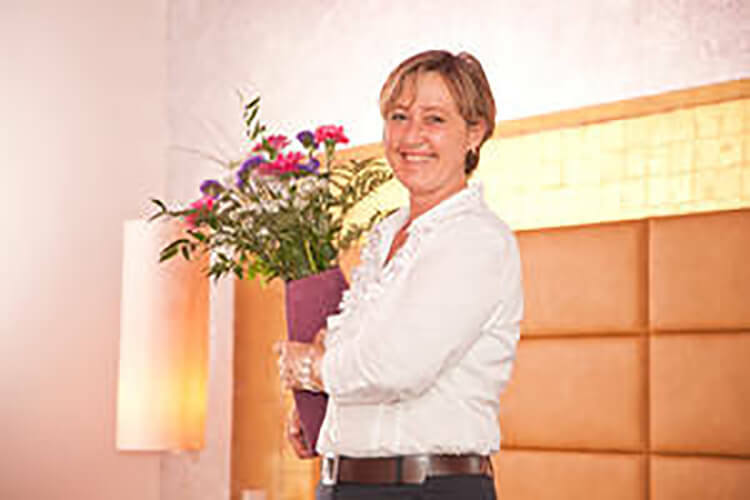 Manuela came to us in September 2006 and has been responsible for our housekeeping for many years now. Always with a smile on her lips, she has a great sense of humour. Manuela likes cycling, inline skating and goes hiking with her husband and dog. Her favourite is the Superior Room “Friedensreich Hundertwasser”, as she loves the combination of violet and orange. 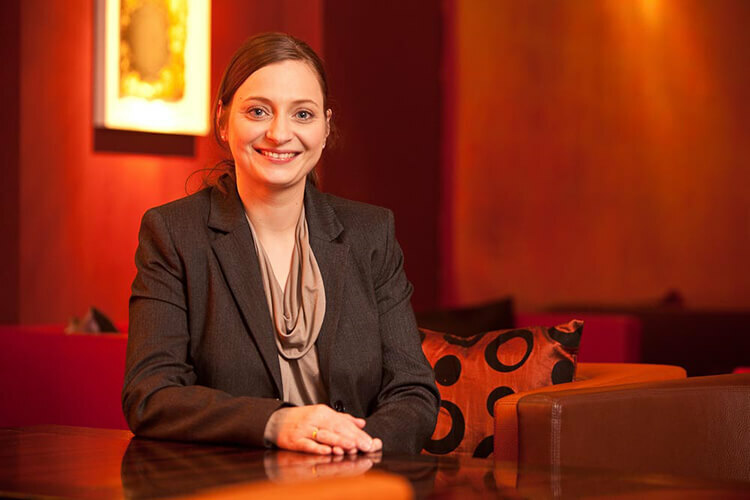 Chanieva is part of our team since March 2010 and lives in Austria since 2006. She speaks Russian and German fluently. In her leisure time, she enjoys sewing and likes to go swimming. Chanieva has a great sense of humour and loves to go on vacation with her children. Her favourite room is the Superior ARTelier Room “Zarter Duft” as she just the room’s soft colours. Zofia joined our housekeeping team in August 2016. She is from Poland, has three children and is married. In her free time she likes to bake cakes or being outside in the nature. Her favourite room is our superior double room 421. The room is dedicated to the emperess “Sissi” which she likes very much. Senem joined our housekeeping team in January 2018. She has three children. In her freetime she likes to saw and knit. Her favourite room is #624 because of the size and there is a shower and a bath tube. Genet is since June 2017 in our housekeeping team. She has two children and is very sporty in her freetime and likes listening to music. Her favourite room is the Junior Suite #624. She likes this room the most because of the balcony and the beautiful colours on the walls. Together with her mother, Arzija is member of our house keeping team since Sepember 2013. In her leisure time, she loves hiking or cycling. Also, she takes her children and family for a jaunt. Arzija’s favourite room is our “Deep Purple” Junior Suite, because of the beautiful colours and its spacious bath room. 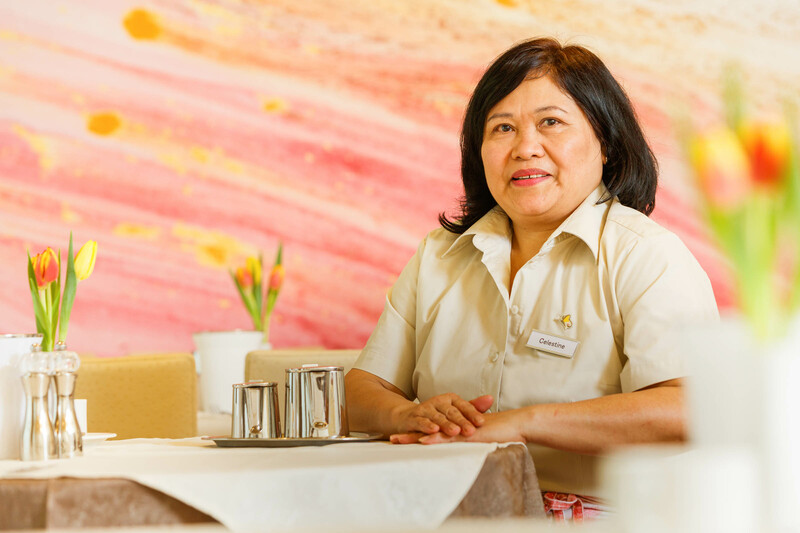 p>Elvira works since December 2017 in our housekeeping team. She is married and has two children. In her spare time she likes to go shopping. Her favourite room is 215. She likes that this room has a wooden floor and is very bright. Also the colours in this room she likes very much. Afrime joined our housekeeping team in August 2016. She has three children and is married. She comes from Macedonia and lives since 12 years in Vienna. In her spare time she likes to take a walk with her family and she also loves cooking. Her favourite room is the deluxe double room 512. She likes the picture from the artist Andreas Reimann very much and also loves the rainshower in the bathroom. Wannipa works since April 2011 at our breakfast buffet. She is from Thailand and has two daughters. In her free time she likes to cook, go shopping or for a long walk. At our breakfast buffet she likes our homemade fruit salad the most. 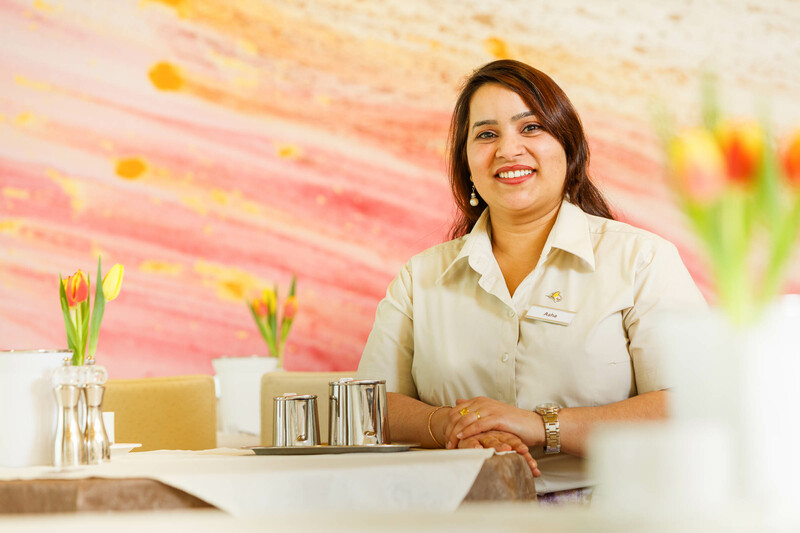 In August 2003, Irena started as breakfast waitress and assists our breakfast Management if necessary. It is always her goal to set our guests up for the day. The mother of two grown-up kids originally comes from Croatia. In her leisure time, she enjoys cooking and decorating her home. Delicious part of our breakfast buffet is Irena’s home-made fruit salad, which is also her personal favourite. Chen works since November 2017 in our breakfast team. She is from India. In her free time she likes to go shopping or for a long walk. At our breakfast buffet she likes Kiwis the most. Joy works at our breakfast team since March 2018. She is from the philippines and has three children. She likes to spent her free time playing with her kids or going for long walks with them. She also likes to bake cakes for her family. At our breakfast buffet she likes kiwis and pineapples the most. Jadwiga is since march 2017 in our breakfast team. She comes originally from Poland. She is married and has two children. In her free time she likes to do sports and go hiking with her family. She likes the fresh made scrambled egg most at our breakfast buffet. Asha works since Novmeber 2017 at our breakfast team. She is from India and has a son. In her free time she likes listening to music and to cook. At our breakfast buffet she likes our hummus spread the best. Natalia works part-time at our reception. She played professional tennis for 13 years. Originally from Slovakia, she has a Bachelor degree from the University of Economics in Bratislava. In Vienna she would like to study economics in order to reach the master’s degree. She speaks English, German and Italian. In her spare time, she devotes herself to several hobbies: sports, books, foreign languages and traveling are some of her favorites. From the rooms in our design hotel, she prefers the premium quadruple room 415 because it is so spacious and he likes the ambience in this room very much. Antonia works since May 2017 at our reception. She is from Vienna and spent some time in different countries and enjoys now being back in Vienna. In her freetime she still likes to travel around the world. She likes to have conversations with our guests from all over the world. It helps a lot that she speaks spanish and english fluently. Her favourite room is the superior room 121, because she likes the strong colours and the bright yellow details on the walls. 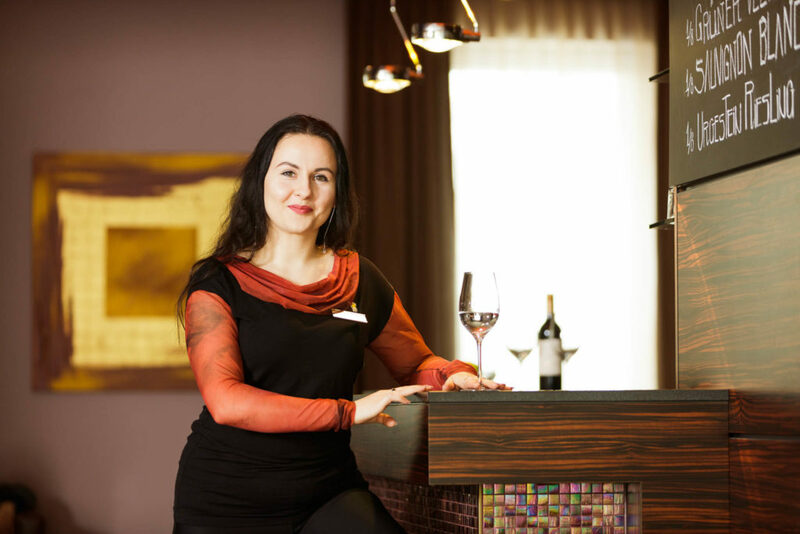 Annamaria is member of our reception team since December 2014. Originally coming from Hungary, she used to live in England for quite a while. Thus, she speaks not only her mother tongue, but also German and English fluently. In her leisure time, she likes swimming and travelling. Her favourite is the “Silver Moon” Junior Suite – according to Annamaria, this is the Wilhelmshof’s most beautiful room. 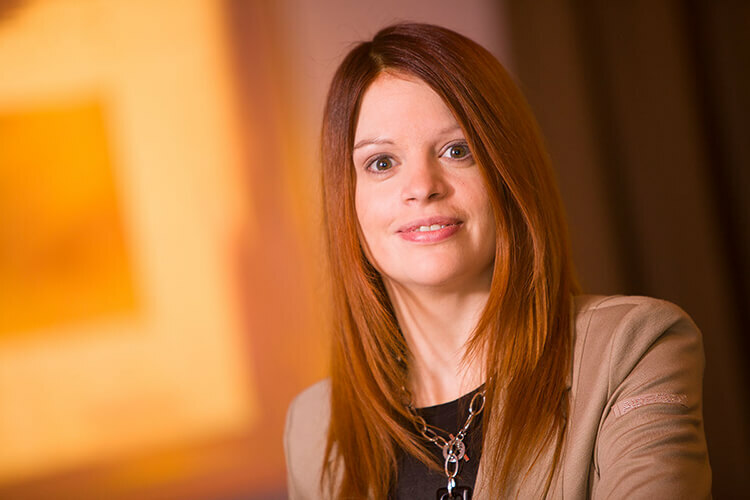 Caroline supports our Management team as an assitant Front office Manager since Otkober 2016. She was born in Vienna and is really into sports. In her free time she rides a snowboard or bicycle, practice fencing and she also practiced high diving professinal for 10 years. Her favourite room is our deluxe double room 614. In her opinon these room is perfect for couples and people who love to sleep in because of the roof pitch. It also offers a bath tupe in the bathroom which makes it perfekt to relax.